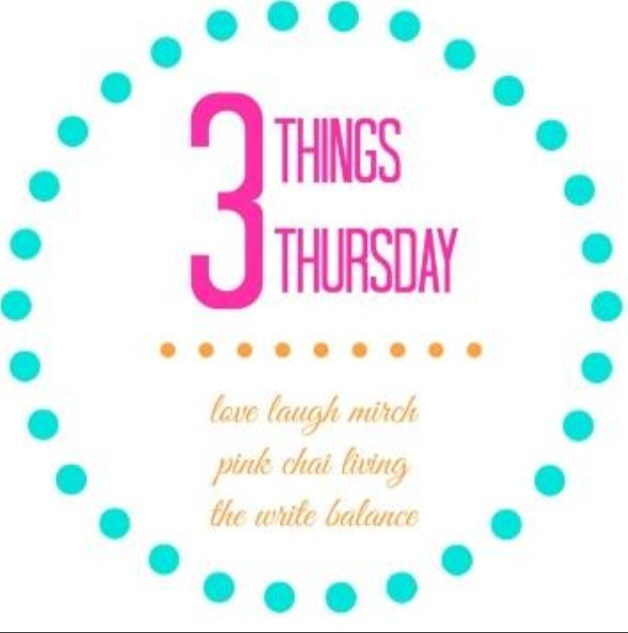 This week I’m SO thrilled to link up with some fellow bloggers which include, The Write Balance, Pink Chai Living, and Love Laugh Mirch for #3 Things Thursday. #3 Things Thursday is dedicated to sharing three things on Thursdays! Brilliant! If you would like to join in on the fun, just link up your #3 Things Thursday post with one of these fabulous bloggers. Today, is the perfect day for me to do a #3 Things Thursday post because I will be attending three exciting events in Vancouver and I’m super stoked to share them with you. I hope to see some of you there too! 1. The first event is a Kiki! And it’s happening this evening from 7-10 pm at Ella and Elliot in Gastown. Kiki in the city is an event hosted by Desiree Cluff. Desiree is the owner and operator of Rockababy. She is a sleep consultant, toddler behavioral coach, and parent mentor. I had the pleasure of hearing Desiree speak at an event last month. She is one inspirational woman. I’m really looking forward to her event this evening. Tickets are $20 at the door. $5 from every ticket will go towards the #onemoreday AHxMF campaign. This campaign, aims to financially and emotionally help those that are battling cancer, and serves as a reminder to live in the present moment. For more information about this incredible campaign, check out ModernFort and be sure to watch their One More Day Campaign video. You will hear stories of what #onemoreday means to a person battling cancer. Warning: It’s a tear jerker! On a lighter note, tonight’s event boasts some inspirational guest speakers which include, Kate Muker, Creator of Conscious Divas, Monika Hibbs Lifestyle, Fashion and home blogger, The Juice Truck, Vancouver’s pioneers in cold press juice, and more! There are also prizes to be won. I wish my youngest was still in a highchair because they are giving away a sleek, modern stokke baby high chair! Other prizes include, swag from Vonbon Apparel, Juice truck, Modern Fort, Kardz Kouture, Shopbymonika, Karla Dreyer Design, and more!!! In addition, there will be beautiful decorations, because a party isn’t a party without decorations!! Kiki in the city, is being styled by one of Vancouver’s best party stylists, Kristina Cross, from the Swank Social. Seriously, if you haven’t already, you have to check her out! She’s got talent! Miss Kristina, will be setting up a special photo booth backdrop and here’s a hint, she will be using her spectacular handmade fans. I had a sneak peek on Instagram, they’re stunning!! I can’t wait to get in front of those fans for a photo!!!! If you’re free this evening, for a fun-filled event, come on down!!! 2. The Second event that I will be attending is the Just Between Friends Sale. This event is a huge consignment sale with an incredible selection of baby, children and maternity items, at discounted prices! The sale is happening this weekend, November 21-23 at the Croatian Cultural Centre. The JBF sale is more than just a sale. It’s a place where moms get together to sell, volunteer, shop and connect! Check out JBF and come visit me Friday, where I will be selling discounted Stella and Dot pieces at half price and more!! Moms deserve a little discount for themselves too! All you mommy-nistas, I hope to see you there!! 3. 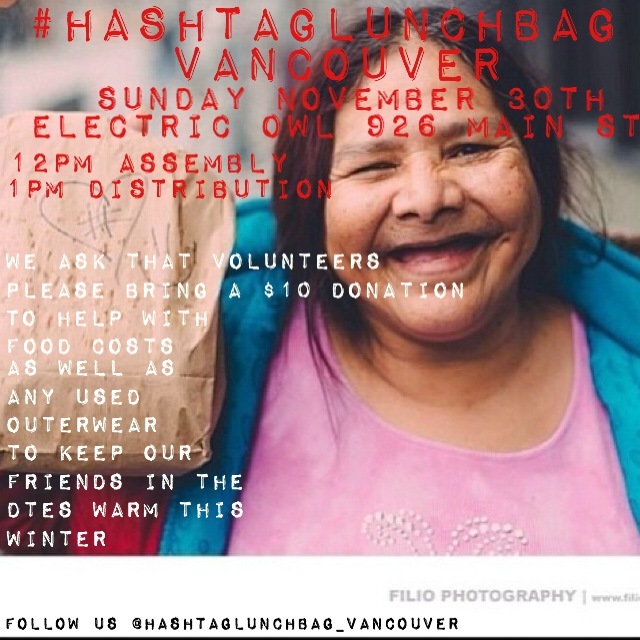 The third, and last event of the month, I am especially excited for is #Hashtaglunchbag Vancouver! 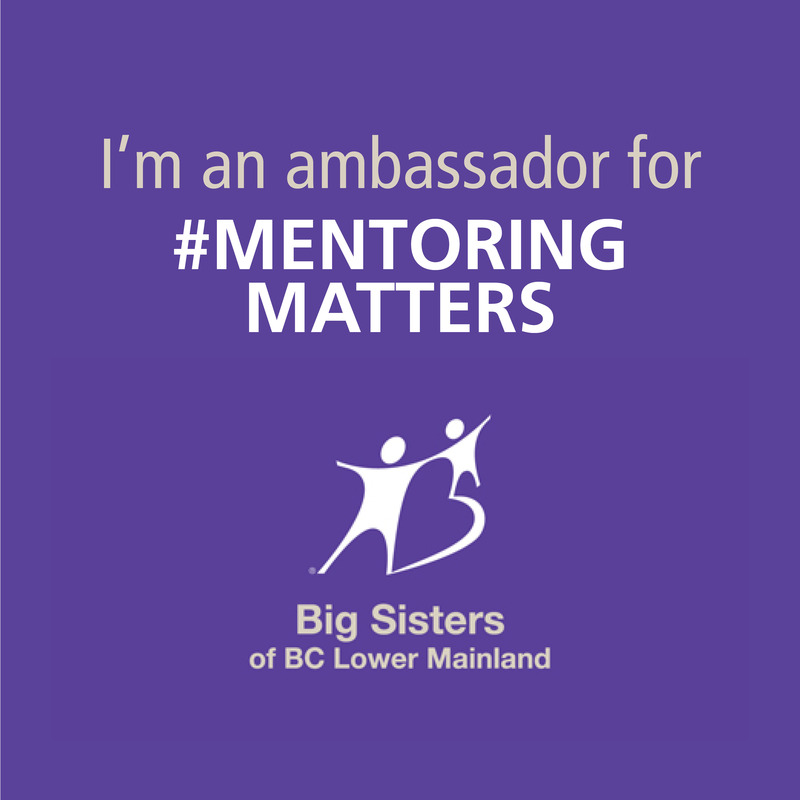 The #Hashtaglunchbag Vancouver crew and I, are working hard to prepare for our next event! We are also very grateful to everyone who has shown their support with this movement. We wouldn’t be able to do it without you! This months event will be held at The Electric Owl on 926 Main Street. We will be assembling lunches at 12pm and distributing them on the downtown east side at 1pm. Please arrive at noon, ready to make sandwiches, and pack hearty lunches. We ask that you please bring a $10 donation to help with food costs. You can give your $10 donation to the gals at the front entrance upon your arrival. From there, you will be directed to a station, and put to work! It’s amazing how quickly time goes by and how fast the lunches become assembled, with so many dedicated, hard-working volunteers!! The cold snap has hit us here in Vancouver! In addition to the lunches we will doing a jacket drive. If you have any used, good condition outerwear for our friends in the DTES please bring them along. We will be donating them to a local shelter. Our events are child friendly, so feel free to bring your little ones down to help. It’s a great way to spend a Sunday afternoon with your family. Thanks for taking the time to read my #3 Things Thursday post about 3 exciting events happening in Vancouver! Are you attending any events this month? If so, I would love to hear about them! So many great events that you’re going to Jamie! I’m hoping to go the JBF as well. You’re right, it’s not just a great sale but a way for parents to connect. And good luck with #hashtaglunchbag. It’s a such a wonderful thing you guys are doing and let me know how I can help in any way! Happy to have to linking up to #3ThingsThursday! Hi Jamie! Well, we are totally on the same wavelength because I shared two of these events in my post as well today 🙂 I especially LOVE #hashtaglunchbag and will definitely bring the family out in the new year to help out (this happens monthly, right?). And I hope to see you on Friday, too! Hi Taslim!! Oh my goodness, thank you for sharing our event! I will have to check out your post right now:) Hope to see you Friday! Thank you! I wish you a fabulous week too!